Tony Ingoglia's company was stealing large sums of money from Tom Raley-right under the nose of Chuck Collings. Click on the photo above to visit Tony's web site. Charles Nordby thoroughly dissected Tony's invoices. And all of this was happening right underneath Chuck Collings nose. 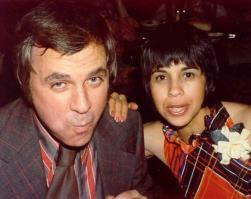 Tony Ingoglia liked submitting invoices to Raley's before Charles Nordby was hired at Raley's in 1973. For Chuck Collings and Raley's having the audacity to state that Charles Nordby was just a security man would be no different than somebody else having the audacity to state that Chuck Collings was just a thief. Pages from Charles Nordby's book "Raley's Exposed! Who On Earth Saved Raley's?" 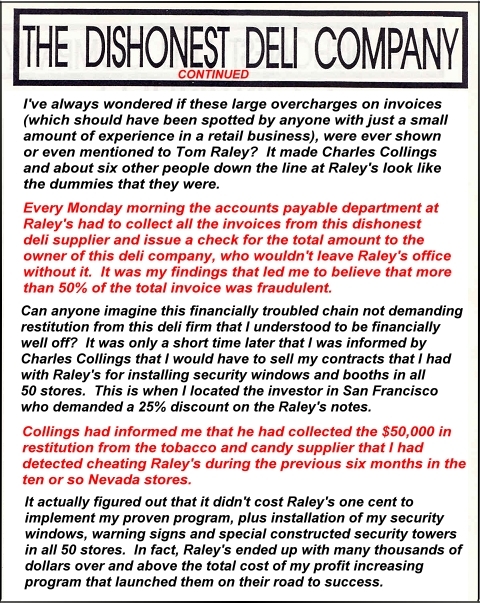 Below are two (2) pages from Charles Nordby's book "Raley's Exposed, Who On Earth Saved Raley's?"